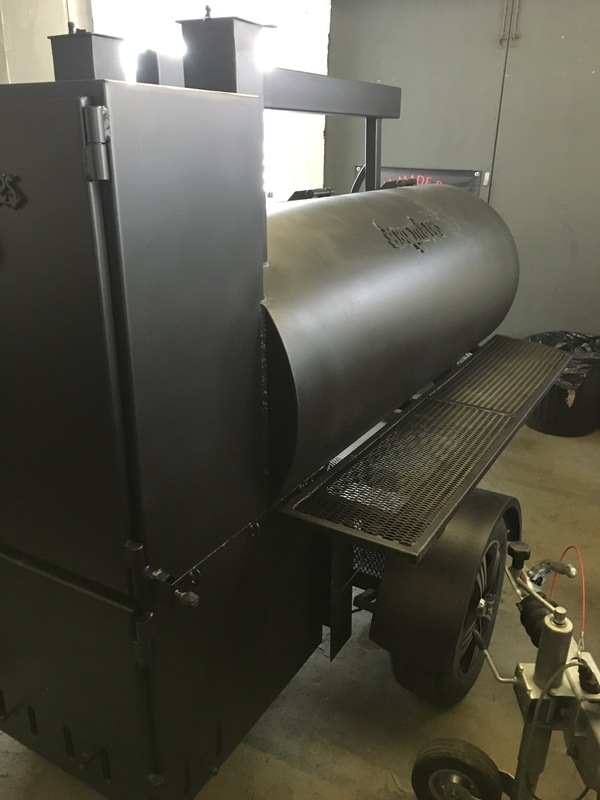 It’s a traditional American reverse flow Barbecue Smoker Trailer with enormous smoking/cooking space. 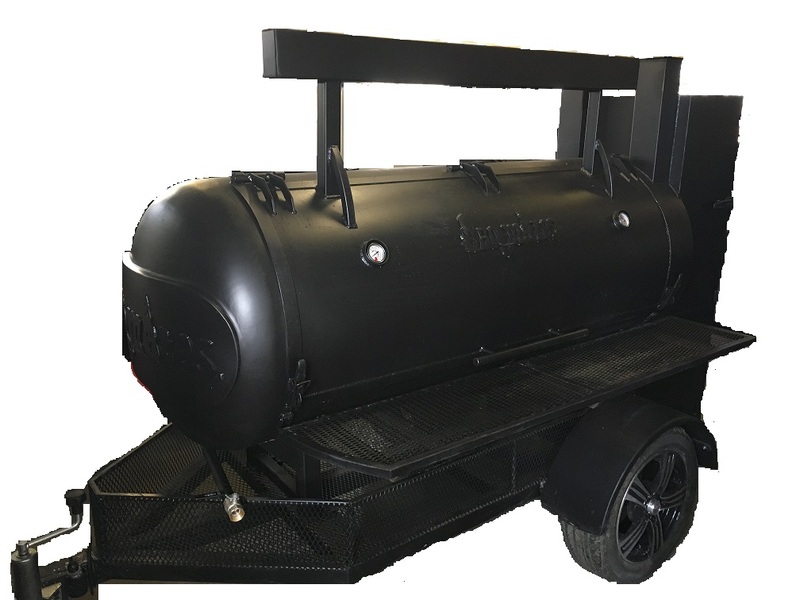 The BBQ Trailer is a fully-functional mobile cooking machine, complete with the large smoking/cooking chamber and Warmer. 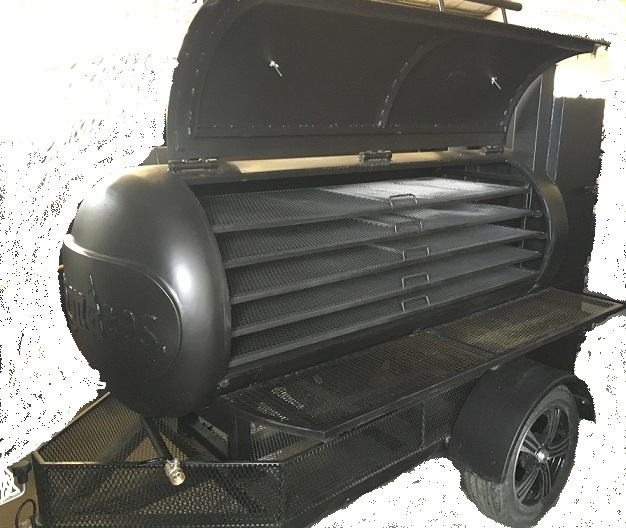 BM-1 comes with BBQ ability to smoke in the warmer also. The BBQ Unit made in 3mm and 5mm thick steel, finished in heat resistant paint and looks smart and sophisticated. Chamber door and lid are equipped with two 57mm dial stainless steel easy-read temperature gauges. The BM-2 comes with warmer. 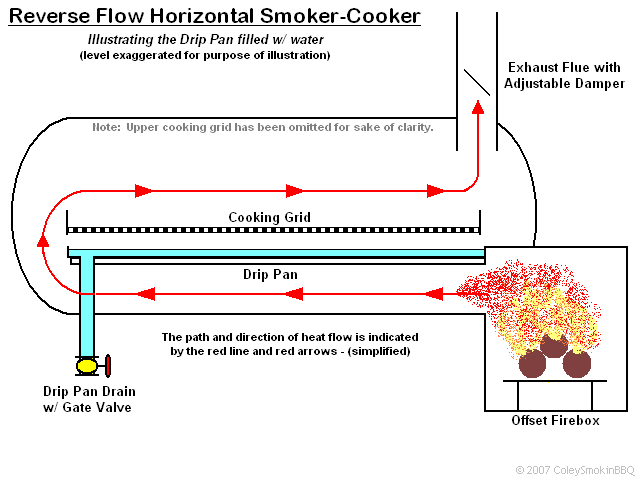 The warmer can be used as a smoker as well. 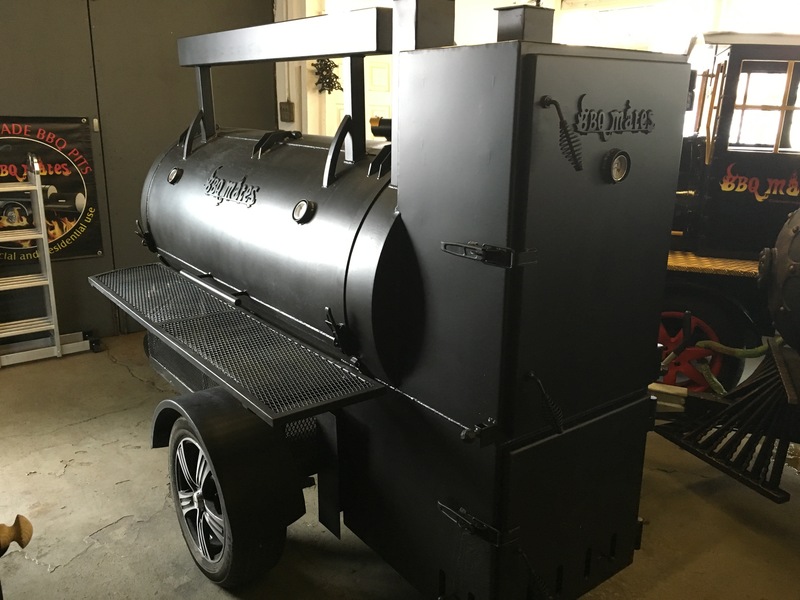 Warmer/Smoker (90 cm H x 40 cm D x 61 cm W) comes with 4 Pull-out food racks 36 x 53cm (Drip pan included) , equipped with the dampers for easy control the heat and airflow. Equipped with external shelves and storage area underneath of the cooking chamber can be used to hold wood, charcoals, etc.